Murals and Bike Tours – Is This a Thing? We hope so, it’s a perfect combination. Remember the Miami Art Crawl we mentioned back in January? It seems that things are warming up enough in Philadelphia to follow suit. This Saturday, there’s a Mural Arts Tours 2016 Spring Launch Event featuring a couple of bike tours (free) and a walking tour ($22). Spots are going fast, so sign up now. The tours will be lead by Philadelphia Eagles DE Connor Barwin. Unfortunately, it doesn’t appear that there are any regularly scheduled mural bike tours. 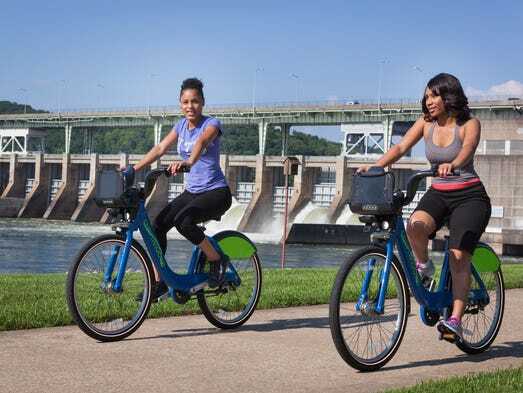 But the event is cosponsored by Philly’s bike share, Indego…..so maybe that will be changing?